Bierutów lies on the border of the Lower Silesian and Opole provinces. 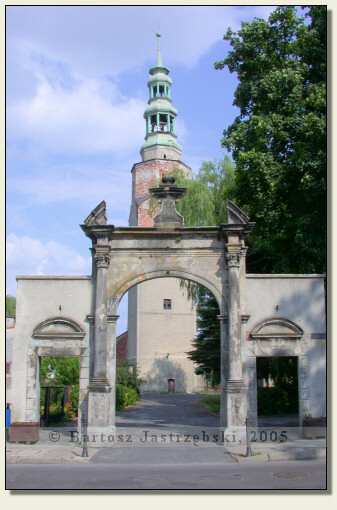 To find the castle you need to enter Bierutów from the south, down the road no 396 from Oława. In the center, at the tight turn of the main road to the right you need to drive straight on, next turn to the right beyond the church and the castle stands on the right side, by the road. Bierutów obtained civic rights in 1266 thanks to Henryk III of Wrocław. Probably the castle arose at the same time, which till the beginning of the XIVth cent. was converted into an entirely brick stronghold. In the XVIth cent. the castle was reconstructed according to the then prevailing fashion, and next once again after the fire in 1603. 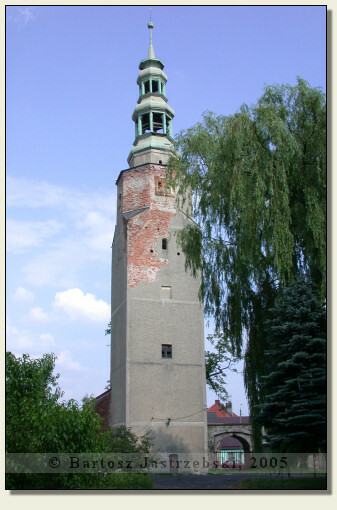 In 1622 the castle tower was elevated, and in 1680 the whole foundation was extended. In the XVIIIth cent. the castle was a property of dukes of Wirtembergia, while in the XIXth cent. 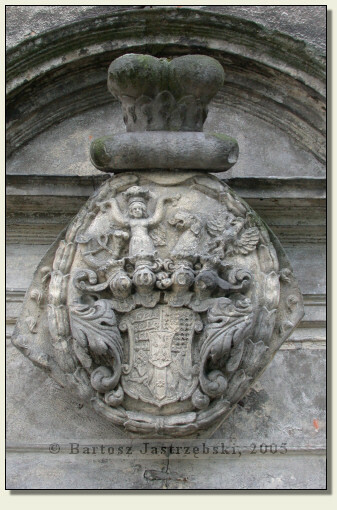 belonged to dukes of Brunszwik-Lüneburg. In 1899 the old gothic house was dismantled, through which up to this day only the second of the houses, the tower and the gate have preserved.